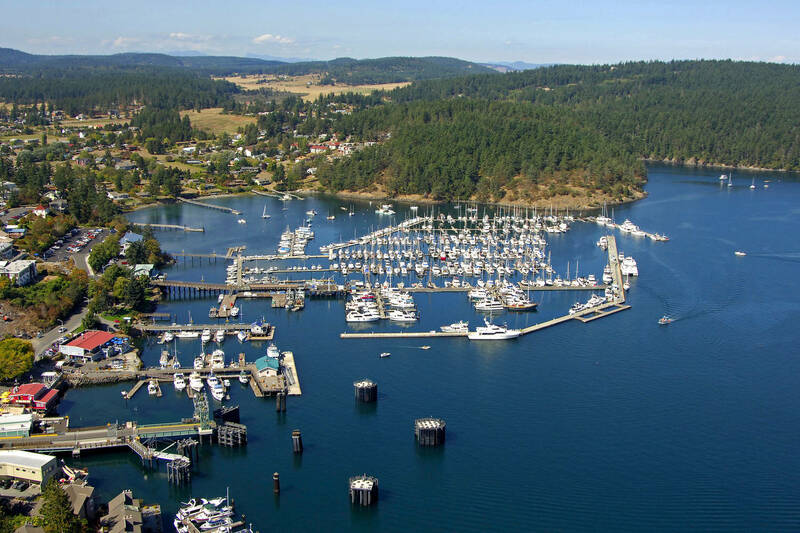 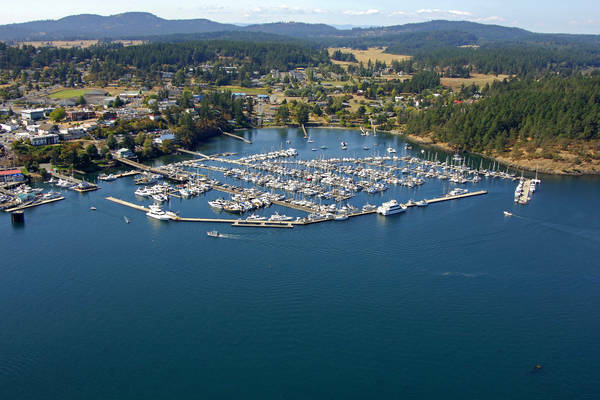 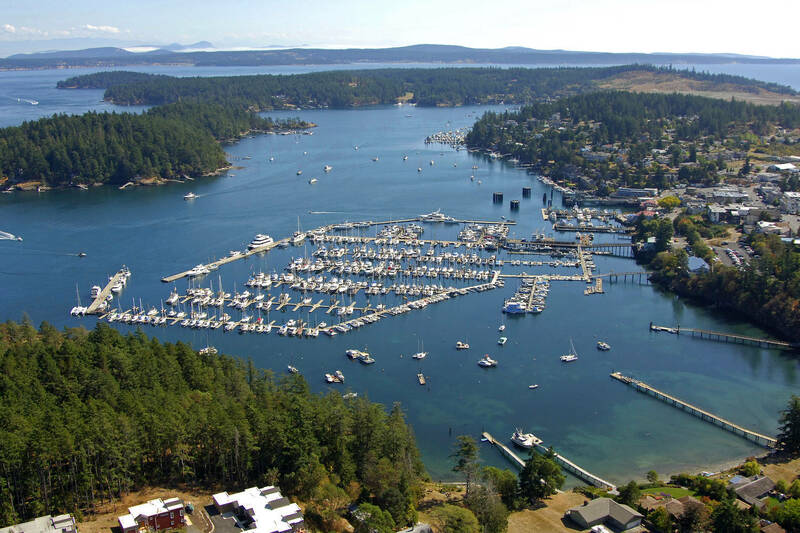 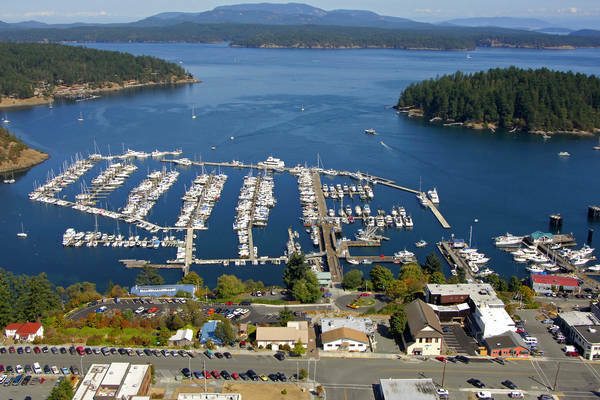 The Port of Friday Harbor Marina provides year-round shelter for recreation and fishing boats in the center of the most beautiful cruising waters of the West Coast. 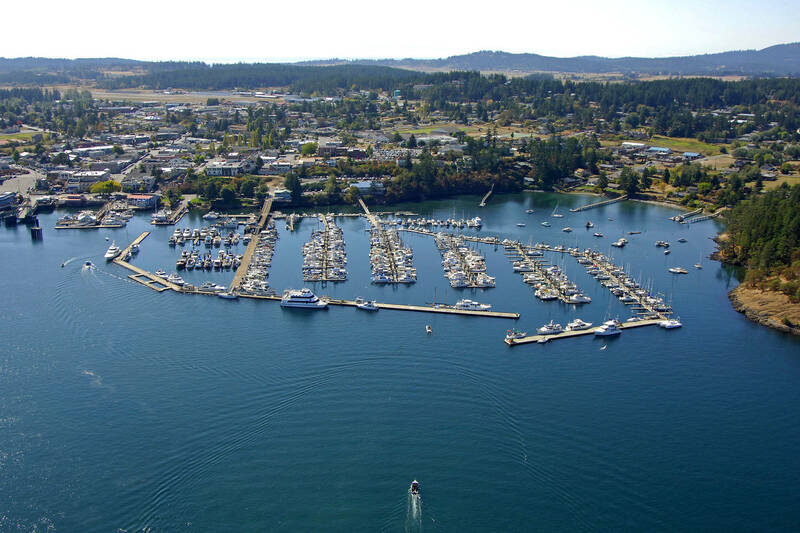 The marina is located in the town of Friday Harbor, and boaters have easy access to supplies and services including food markets, restaurants, hardware stores, laundry, lodging, chandleries, art galleries and theaters. Services available at the marina include free WiFi, a Shell Fuel Pier, potable water, on-site laundromat, restrooms & quarter-operated showers plus vessel sewage pump-out options (stationary unit, portable unit and a pump-out boat). 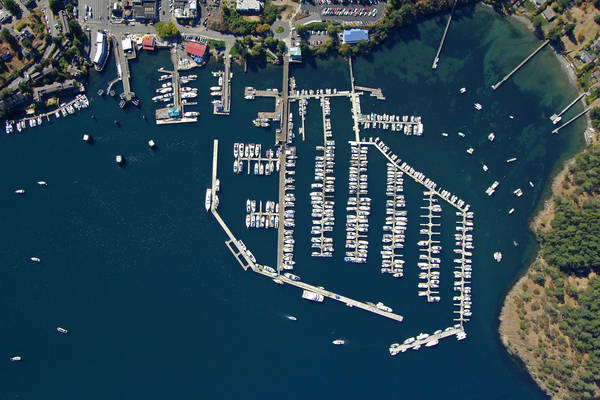 The marina was originally constructed in the early 1970’s, and has grown over the years to 500 slips, with 100 available for overnight visitors. In the summer season, reservations can be made for visiting boats. Larger boats can tie alongside the floating concrete breakwaters. 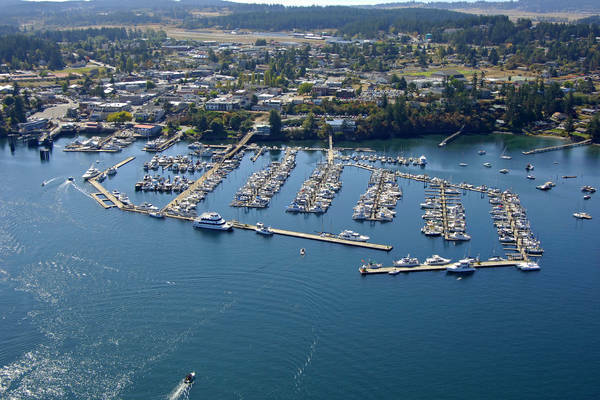 Scheduled seaplane service connects the marina to Seattle’s Lake Union, making a quick connection for crew and owners to meet their boats in Friday Harbor. 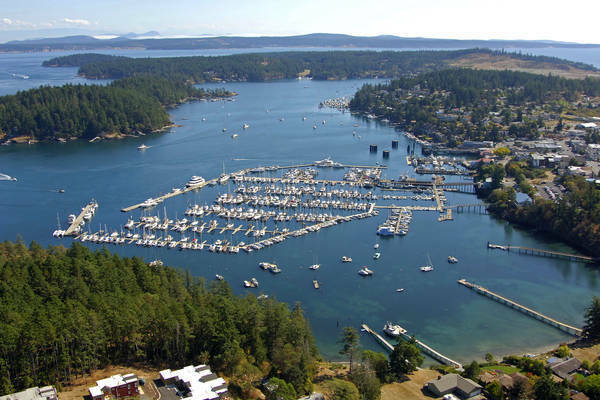 In the summer, passenger ferry services offer trips between San Juan Island and Seattle, Port Townsend and Bellingham.